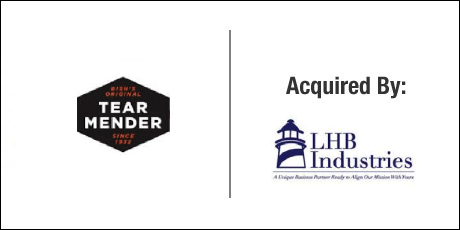 The Buyer: Lighthouse for the Blind-Saint Louis or “LHB”, holds the mission to assist individuals who are legally blind maintain dignity and independence by making available employment, education and support services. 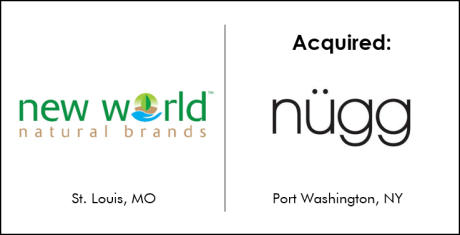 The company currently has 2 plants in St. Louis County and holds over 20 contracts with Government agencies covering more than 200 products. The Seller: Val-A Chicago was founded in 1932 and currently manufacturers adhesives and sealants used to repair clothing, synthetic fabrics and other materials. Its Tear Mender products are sold throughout the country at various retailers. The Close: The acquisition of Tear Mender adds a product that currently sells through private-sector retail markets. LHB historically has been much more focused on government and military sales channels, so the diversification of customers is very important to the future. The Tear Mender line also fits in nicely with the Quake Kare disaster basics kits assembled by LHB for good cross-selling opportunities to both private and government users. 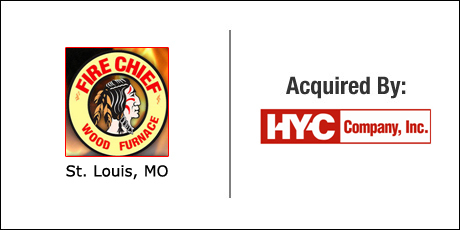 LHB relocated all production assets and manufacturing functions to its headquarters in St. Louis, creating multiple jobs for the community it serves. The Buyer: HMS Health offers comprehensive medical equipment service and maintenance to hospitals and healthcare facilities. Services include inventory management, preventive maintenance, and repair of all patient-based technologies including biomedical, imaging, laboratory, and specialty equipment. Their experienced technicians allow them to provide to their clients efficient repairs and maintenance, effective inventory management and prompt, professional service. 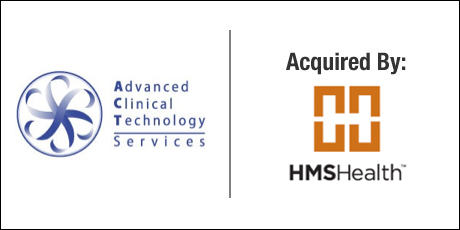 The Seller: Advanced Clinical Technology Services (http://www.actservice.net) was founded in 2001 by Sue Finney, CBET. ACT Services started out as a small home-based business and over ten years later with a long list of satisfied clients it grew into a full-service biomedical services leader. ACT services all types of medical equipment with a mission to offer clients and the healthcare community the very best in biomedical services. The Close: DVS initially spoke to Sue Finney in the summer of 2013 during the initial outreach that led to the purchase of Crawford Diversified Services by HMS Health. DVS followed up with Ms. Finney in 2014 to see if the time was right for her to reconsider selling, and in fact she had gone through the process of listing the business for sale. Working with Ms. Finney, her broker, and management at HMS Health, DVS was able to negotiate a deal that paid a fair price as well as gave her the chance to earn significant upside as she assisted with integration and growth. 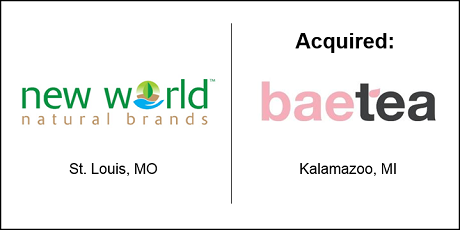 The transaction expanded the reach of both organizations by combining the best-in-class operations in their respective markets. The Buyer: HMS Health LLC (www.hmshealth.com/) is a trusted provider of biomedical equipment repair and clinical engineering services. Experienced technicians meticulously manage every aspect of equipment repairs, and the company provides digital tracking and reporting for clients’ compliance records. Effective inventory control is key to HMS’s EPS Programs, which let hospital clients efficiently manage equipment maintenance costs. 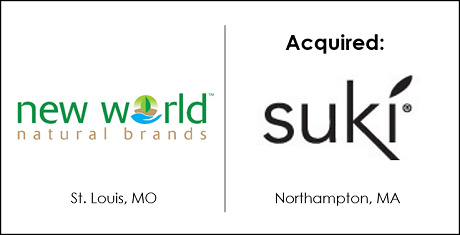 HMS Health is actively pursuing growth through acquisition throughout the Midwest. 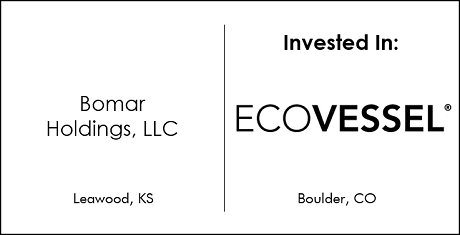 The Seller: Crawford Diversified Services, Inc. (CDS) specializes in the sale and service of biomedical equipment within and adjacent to operating rooms. Located in St. Louis, CDS boasts a 15 year history of satisfied customers throughout the greater metro area. 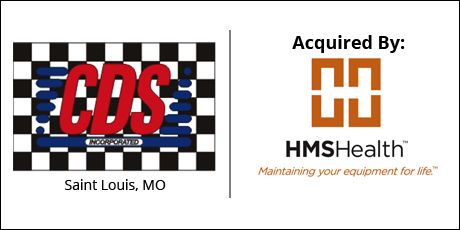 The Close: HMS majority owner Brian Neal contracted with DVS to assist him in rapidly growing his business through acquisition. We pursued a highly targeted strategy to identify specific attractive biomedical service and repair companies throughout the Midwest, of which CDS was one. The owner of CDS was looking for an opportunity to transition out of the business, and his technicians’ skill sets with sterilizers in particular provided a compelling addition to the HMS bank of services. After helping both sides agree to a favorable valuation and structure, DVS worked through multiple financing options with HMS to then engage with the best flexible long term banking partner. 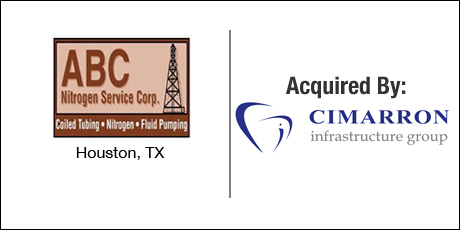 The Buyer: Cimarron Infrastructure Group is an operating group and holding company focused on the acquisition of firms in the energy, natural resource and agribusiness sectors. CIG is based in Kansas City. The Seller: ABC Nitrogen Service Corp. is based in southeast Texas. The Company provides coiled tubing, fluid pumping and nitrogen services to wells throughout Texas and Louisiana. The Close: Cimarron Infrastructure Group retained DVS to assist it with sourcing, engaging, and acquiring targets suitable for CIG’s portfolio. Working together, CIG and DVS developed a small initial list of targets which DVS then prospected aggressively. 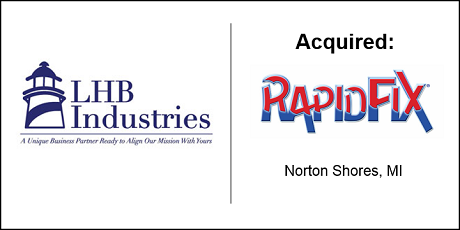 Following initial contact with ABC Nitrogen, a mutually beneficial deal was quickly negotiated. DVS then assisted CIG with sourcing capital partners to build its investor base. Closing occurred on schedule at the end of 2012. The Buyer: Alphapointe Association for the Blind is a private, non-profit organization that has served blind and visually impaired people in the Kansas City community and surrounding area since 1911. Alphapointe is the largest single employer of visually impaired individuals and is the only comprehensive rehabilitation and education agency for people with vision loss in the state of Missouri. The Seller: Proformance Calling is a Contact Center specializing in outbound calling. Proformance offers business services such as feedback offer solutions, cycle management, content development, scripting services, training and channel response analysis. Proformance also developed a niche service providing admissions and enrollment support for small private colleges. The Close: Alphapointe engaged the DVS Group to assist in making strategic acquisitions that could increase Alphapointe’s employment opportunities for blind and visually impaired people. A particular area of focus was business services with job opportunities that would include less physical strain (i.e. white collar) as well as telecommuting opportunities. DVS prospected aggressively to find a contact center with a seasoned manager willing to work with Alphapointe indefinitely in growing its business services division, and found an excellent match in Proformance. DVS negotiated the acquisition of business assets, ongoing employment of key management, and facility transition to maximize the benefits to Alphapointe without disrupting the core functions of Proformance going forward. The deal was closed 75 days after the companies were introduced in order to begin transition within calendar 2012. 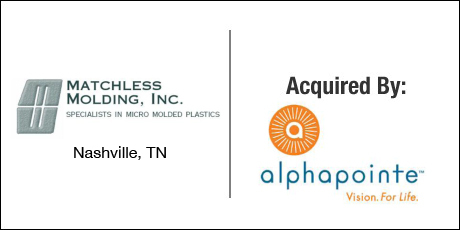 The Seller: Matchless Molding, Inc. is a manufacturer of micro molded plastic products. MMI has been a market leader in the micro molding industry for over 20 years. Industries served include medical, telecommunications, and various government-related projects. The Close: Alphapointe engaged the DVS Group to assist in making strategic acquisitions that could increase Alphapointe’s employment opportunities for blind and visually impaired people. Alphapointe already had a large plastics extrusion division, so adding to the breadth of services in that division was a priority. 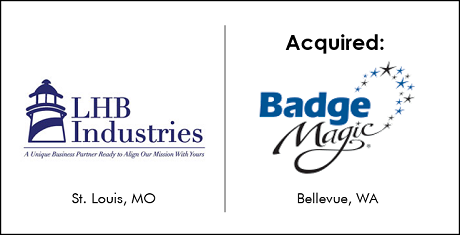 DVS found several candidate companies, identified Matchless Molding, Inc. as a premier target, negotiated the purchase agreement and closed the deal. 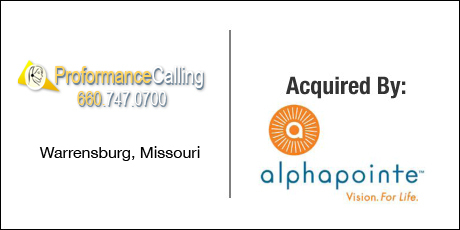 MMI’s assets were relocated to Alphapointe’s Kansas City facility within ninety days of introducing the two companies.